Homes have been devastated and at least 49 people have been killed by a flood and mudslide in western Colombia Monday, according to the Associated Press. 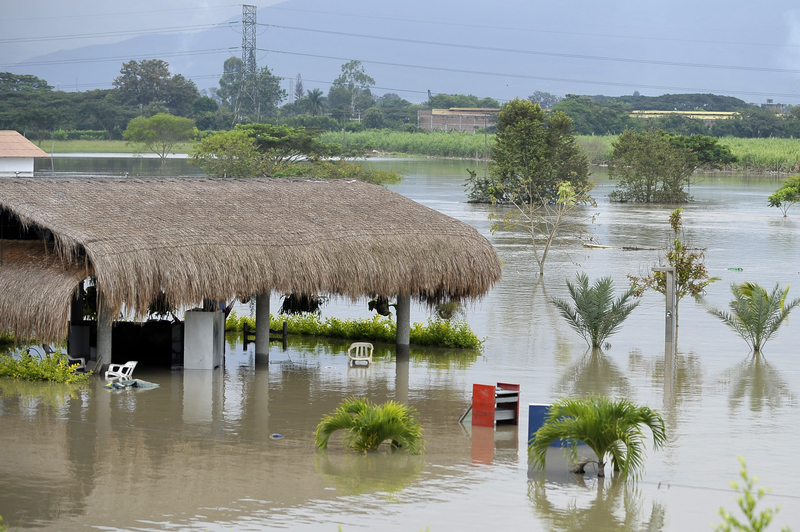 The flood was triggered by heavy rains, which caused an mud avalanche onto the town of Salgar, about 60 miles southwest of Medellin, the second-largest city in Colombia. The Libordiana ravine overflowed and submerged bridges and homes and flooding has destroyed the town's aqueduct, electricity, and other public services. The mudslide from the rains dragged away about a dozen homes, and local media say that as many as 200 people may be missing. Authorities are calling on volunteers to send water, food supplies, and blankets to help with the "humanitarian emergency," according to the AP. The Libordiana river wiped out homes in the village of La Margarita, according to the Costa Rica Star. Mayor of Salgar Olga Eugenia Osorio told radio station RCN that La Margarita has been "erased from the map," according to Colombia Reports. "We don’t even know the dimension of the disaster," Osorio said. "It could be there are many dead near the shores [of the Libordiana river]. It is very difficult to access." Former President Alvaro Uribe, who spent part of his childhood in Salgar, rushed to the town to help with relief efforts. He told RCN TV he saw a grandmother caring for her 3-day-old grandchild because the boy's parents are missing: "It's very painful what we've seen." Firefighting units from nearby towns have been dispatched to the scene to search for missing people in the ruins, according to the Star. The National Police also ordered a group of 40 rescue personnel to the zone with two helicopters to transport the injured. President Juan Manual Santos was reportedly on his way to the town to oversee disaster relief operations, according to the AP. In a statement on Twitter, Santos said that the National Risk and Disaster Management Unit, or UNGRD, is attending to the tragedy, and "those affected will receive all our help," according to a translation by the Star. It was rocks and tree trunks everywhere. The river took out everything that was in its path.